As mileage, speed or performance demands increase, biomechanical nuances can be accentuated, revealing areas of weakness or malalignment. 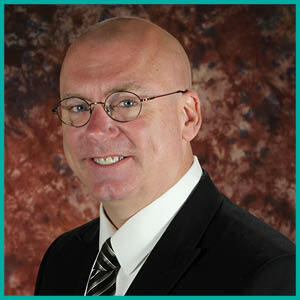 Dr. Randall Kline is a board-certified podiatrist specializing in injury, wound and diseases of the foot and lower leg. Wisdom is not gained easily. While many can apply academic knowledge successfully the first time, others of us have to learn from our mistakes. I can say I’m better at balancing short-term goals with longevity at this age; however, the limits of physical performance are constantly changing with each year. Likewise, the risk of overuse injury resides silently outside of ever-changing boundaries. As mileage, speed or performance demands increase, biomechanical nuances can be accentuated, revealing areas of weakness or malalignment. I’d like to address a scenario I see commonly throughout the year, but much more so as the weather improves and people continue increasing the demands on their bodies. Clinical Symptoms: While the severity of symptoms as well as the dominant symptom experienced may vary from person to person, the following grouping of symptoms can be found with consistency in the lower extremity from overtraining. 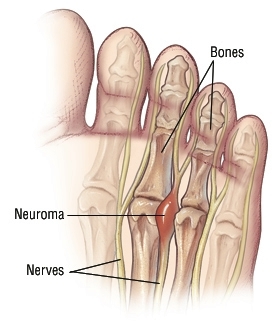 Pain extending up the tops of the toes, across the front of the feet & ankles into the legs. Pain along the inside of the ankle, extending up the tibia. Pain in the plantar aspect of the foot in the mid-arch or near the heels. Pain in the back of the heel, extending up toward or behind the knee. Within the clinic, I may hear a story something like this: “Several weeks ago, I began to feel what I thought was a rolled up sock under my toes. This progressed to numbness and a full feeling in the ball of my foot. At the same time I have pain coursing from the tops of my toes up my leg, combined with what feels like swelling in the front of my ankle.” If the patient had x-rays taken, they are almost always read as negative, and the patient may have been given NSAIDs, such as Motrin, and told to rest. Generally, further examination will reveal one or more of the above listed symptoms if not disclosed in the history. As an athlete, these matters are your anatomy responding to the physiological demands being placed upon it. You might also look at it as tread wear based upon your alignment. Breaking down this scenario into its individual components can help isolate what is happening and how to prevent it from becoming a serious injury with prolonged recovery. Hammer toe formation can be caused by a tight Achilles tendon working against the extensor tendons that run from the front of the leg to the midfoot. Pain extending across the front of the ankle: The extensor tendons originate from the front of your leg and extend down to the midfoot and toes, allowing you to lift your forefoot as it swings forward toward its next step and decelerated your foot after heel strike. 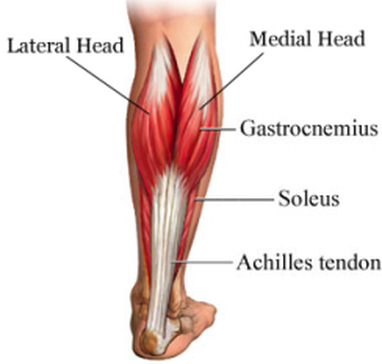 Against a tight Achilles tendon, these muscles and tendons have to pull against increased tension, resulting in extensor tendonitis. Left untreated, extensor tendonitis can lead to hammertoe formation, plantar fat pad displacement beneath the metatarsal heads, and plantar fasciitis. Although tendon rupture is rare, it is possible. Pain along the inside of the ankle is a common finding when other symptoms are present. It may be thought of as a chronic “shin splint,” and may even be unnoticeable until massaging your ankle or having it rest against the other leg. Amidst other symptoms, some people aren’t aware of the tenderness that exists in the myotendinous junction (where the muscle turns into tendon) of the tibialis posterior, however, it’s presence is a certain sign of chronic hyperpronation during weight bearing activity. 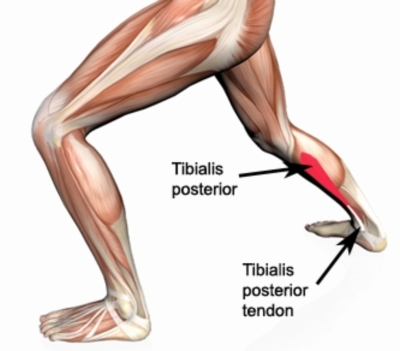 Tibialis posterior tendonitis is usually influenced by the alignment of your knees in combination with your subtalar joint (the joint under your ankle that allows you to conform to different surfaces). This is also influenced by the flexibility in your Achilles tendon and Body Mass Index. Left untreated, the tendon can lose its structure resulting in chronic pain, longitudinal tearing, rupture, structural collapse of your arch, chronic knee and hip pain, and even increase the likelihood of a joint replacement surgery in your later years. Plantar fasciitis is discussed well in literature and very common among runners or athletes engaged in impact sports. 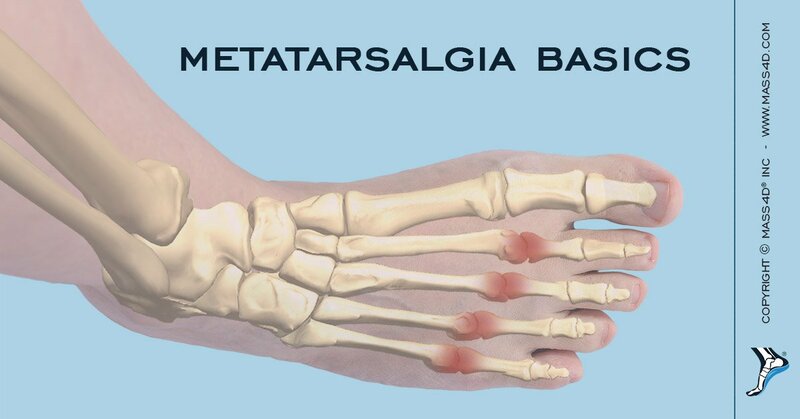 It exists as a ligament stretching across the foot from the metatarsal heads to the calcaneus and serves as the “outer packing” for the four layers of muscles in the bottom of your foot. It works in conjunction with your Achilles tendon and most commonly becomes inflamed from chronic tearing during activity, and partial healing during periods of rest. Without rest and the regaining of flexibility, this can continue with chronic pain for months and progress to a plantar fascial rupture, or calcaneal stress fracture. 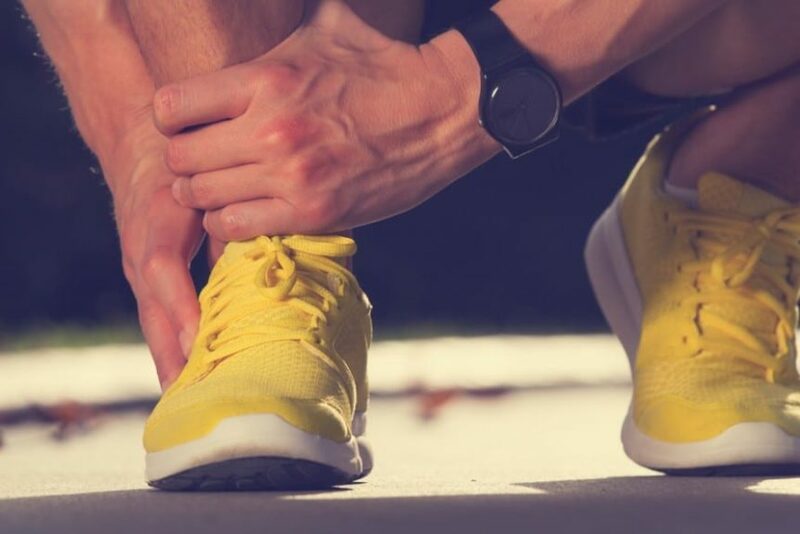 Pain in the back of the heel or leg can result from a lack of flexibility or trauma to the largest tendon in your lower extremity—the Achilles tendon. It is composed of tendinous fibers from two muscles, the gastrocnemius (the superficial muscle originating above the knee) and soleus (originating below the knee). While it has excellent blood flow extending up from the heel and coursing down from the muscles, there is a watershed area existing 3.0 to 6.0 cm from its insertion into the calcaneus that is vulnerable to injury. Traditionally, chronic micro-tears occur in the tendon’s insertion resulting in thickening or calcification at the site of injury. Left unattended however, the calcifications can develop into a posterior heel spur, also called a retrocalcaneal exostosis. Further ignoring of symptoms (particularly if accompanied by trauma) could ultimately result in longitudinal splitting or Achilles tendon rupture, most commonly at the watershed area. Find a reliable training program and stick with it. I’ve used Jeff Galloway’s training programs for many years, but there are many others out there that will keep you focused toward your goals, while keeping you from overtraining. Don’t short-cut steps of progression. If you are over 40 years old or just beginning to exercise after a period of not doing so, you may want to allow yourself more rest at first as you build muscle and endurance. Stay flexible. If pressed for time, stretching before (and more importantly) after vigorous activity can many times get missed. Of great important to avoiding stress injuries in the foot is the runner’s stretch. Doing this stretch for one minute, each leg, with the knee straight and flexed can offer great benefit in alleviating the above mentioned symptoms. If injured from chronic over use or trauma, your body will go through a period of healing with three predictable stages: Inflammation, regeneration and remodeling. The inflammation phase of healing lasts 3 days and is characterized by redness, swelling and acute pain at the site of injury. Give yourself permission to take these 3 days off and avoid any activity that aggravates the injury. Rest, Ice, Compression and Elevation (“R.I.C.E.”) are typically employed for these first three days. Also, immobilization is effective such as an ankle brace during this time. If no (or minimal) improvement, it’s time to see your physician. If this is an injury from an accident (twisted ankle, fall, etc. ), seeing a physician immediately would be advisable. During the regeneration phase of healing (after 3 days rest and noticeable improvement), a return to modified activity may be attempted by staying below the threshold of irritation. During this time, decreasing speed, mileage or switching to an elliptical trainer or recumbent bicycle would be suggested. At this point, you can begin to ease into normal activity as tolerated, but keep in mind that this phase lasts between 6-8 weeks. Don’t force activity that re-aggravates symptoms during this time. If your improvement plateaus short of full recovery, see your physician. The symptoms may be telling you that you’ve got a more serious injury than initially believed. The remodeling phase of healing can last months to years, depending on the severity of injury. During this time, you may feel short, intermittent occasions of stabbing or shooting pain that last several seconds to minutes. Typically, these are isolated and conclude with a return to full resolution. Under normal healing, these decrease in severity and frequency with time. If not, it’s time for a physician to evaluate the area of concern. The running season is well upon us my friends. Run safely, and I hope to see you out there!